The Messenger of Court yesterday demolished three houses belonging to suspected fraudsters who allegedly swindled home-seekers of thousands of dollars through selling them stands along Amalinda Road in Suncrest Park, which belongs to Crest Breeders International. Liberty Mutanga, Emmanuel Chabata and Michael Mutandwa’s houses were destroyed after Crest Breeders obtained a court order against them. Officials who demolished the houses said the order obtained by Crest Breeders stipulated that anyone claiming occupation of its land through Mutanga, Chabata and Mutandwa be evicted from the stands at Suncrest Park. “This is, therefore, to authorise and require you to put the said plaintiff in possession of the said premises by removing therefrom the property the said defendants and to cause to be levied from the property of the said defendant the said sums set out in the margin hereof together with your costs of this ejectment, and to pay the said sum to the said plaintiff, for which this shall be your warrant,” read the warrant of ejectment. The Messenger of Court said he recovered $1 861 worth of US dollars and bond notes, R1 350, three Samsung phones, a tablet and a Mercedes Benz E320 from Mutandwa after he was arrested on Tuesday. 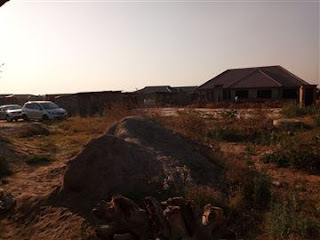 The development comes as Government has started ratcheting pressure on land barons to stop the sprouting of illegal settlements in different parts of the country. Vice President Constantino Chiwenga put land barons on notice during campaigning ahead of the July 30 harmonised elections. He said land barons and bogus housing cooperatives had no place in the new dispensation, while those who fleeced residents of their hard-earned cash would have their day in court. VP Chiwenga was addressing thousands of Zanu-PF supporters in Harare South during a campaign rally to drum up support for President Mnangagwa and the revolutionary party’s candidates. “The era of land barons is over and no one will have to pay someone to get a residential stand,” he said. “As the new dispensation, we are not going to punish our people, but ensure that they are properly settled and not fleeced of the meagre hard earned resources.